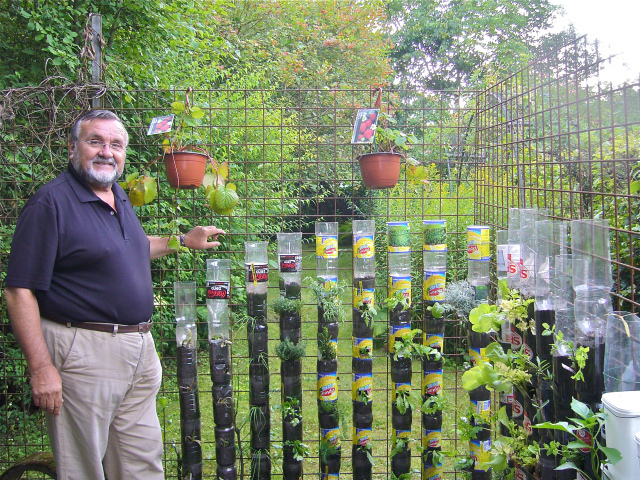 Bottle tower gardens are amazing, they hang on walls and can be attached to fences. 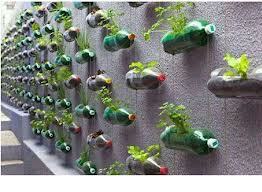 All they involve are same sized bottles, compost, seedlings and a couple of tools. So yes I am one day going to make one, for sure I mean how amazing they are! People grow lettuces to strawberries in them and I want to give it a go too. I've gone round and found great examples and collected some videos and posts together for you to have a look at. He has numerous videos on his youtube channel with videos on container gardening with very clever results. 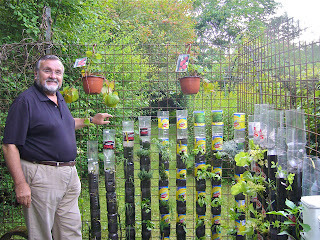 If you want to see what a fully grown bottle tower garden here I have found a great example on his channel. And here is the method on how to create a beautiful place just like that. I can't tell you enough how amazing this is, and please share this post with your friends as they should know too! I'll keep you updated on mine but I will probably have to wait a few months to save up for more bottles. This is my favourite small space food growing idea too and I highly recommend you using it even on a balcony or indoors!